All Eureka homes currently listed for sale in Eureka as of 04/22/2019 are shown below. You can change the search criteria at any time by pressing the 'Change Search' button below. If you have any questions or you would like more information about any Eureka homes for sale or other Eureka real estate, please contact us and one of our knowledgeable Eureka REALTORS® would be pleased to assist you. "When Ferrel decided to relocate his family to Eureka, he aspired to show his children what freedom really was. Eureka was just far enough away from the big city-and the 80s-and a world that was changing too fast. Electronic game consoles were trending, and kids were at risk of never seeing the light of day. Ferrel found the perfect place in which his kids could lose themselves in real world imagination. And, together, they constructed a home and a way of life. Invoke your own sense of childhood wonder and delight. Come unplug and play. 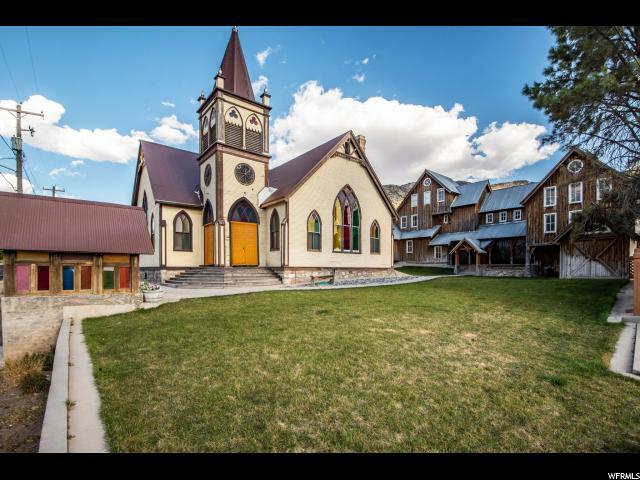 The property is its own miniature mining town, complete with a chapel, a miner's home, and a rough cut board and batten storefront/office space. Not to mention, a mine cart track and trolley that leads to a miniature mining cave and playhouse for the kids (or the kids at heart). Warning: you may be reminded of walking down Main Street, U.S.A., at Disneyland, and this may just be the second happiest place on earth. (And Ferrel might just be the nicest.) The possibilities for this property are endless. Picture yourself inside a chapel, where the slow lapse of time is marked by ever-changing shards of color and light, and prism reflections captured in stained glass. The chapel has been rented out extensively as an event center. This spot would make for quite a magical wedding venue and bridal suite. Or, artist's studio and gallery space. Needless to say, it's also prepped and ready for the next freedom-loving family to move right in. The town of Eureka is as rich with history as Ferrel himself is. It is an anachronism, in all the best ways. There's a mining museum and a candy store along Main Street, and Porter Rockwell's cabin. It's also a gateway to the Little Sahara Sand Dunes. Most of all, it's the kind of place where people are full of stories (and manners), and they'll take the time to share them with you. It's the kind of place where people you want to know, live. " 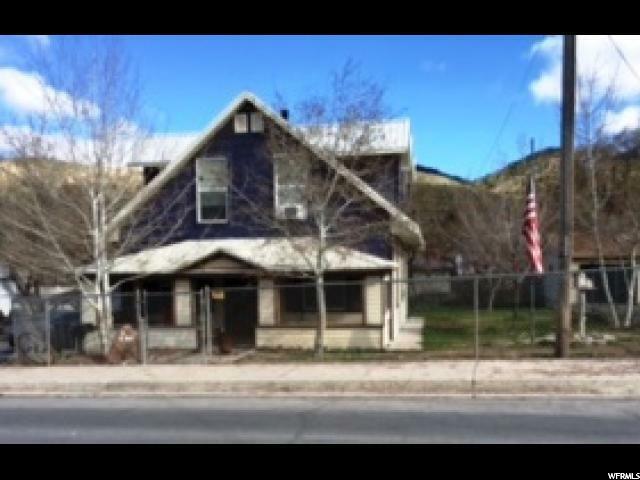 "Cute home located in the center of town* The second story has been remodeled creating an extra bedroom & bathroom (sink & toilet are installed and shower is ready for plumbing)* This is a short sale with an offer currently under review by the lender. No showings available at this time. Please contact agent."